Korea Investment Corporation (KIC) Chief Investment Officer Shinwoo Kang will give a keynote speech in a global real estate and infrastructure summit on Oct. 25 in Seoul, where key investment decision-makers of South Korea’s biggest asset owners are set to show up as panelists. 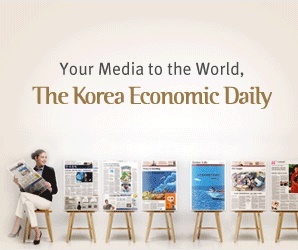 Currently, Kang is the highest-ranking executive of the sovereign wealth fund in the absence of chief executive officer, after former CEO Sung-soo Eun moved to the state-run Export-Import Bank of Korea as new head in September. In the ASK 2017 Global Real Estate & Infrastructure Summit hosted by the Korea Economic Daily, senior investment managers of National Pension Service (NPS), KIC and other Korean pension and savings funds will participate in three panel sessions for limited partners, respectively. They will discuss risks and opportunities for global real estate and infrastructure investment in North America, Europe and Australia. Other key panelists include NPS global infrastructure investment team head Gwangbum Koh; KIC director Chung Hyun Lee; Jinho Lee, head of global real assets of Korea Post; and Teachers’ Pension global alternative investment team head Young-sin Jeong. Senior officials from Government Employees Pension Service, Public Officials Benefit Association, Korean Teachers’ Credit Union, and Military Mutual Aid Association will also share their outlook for overseas real estate and infrastructure investment during LP panel sessions.